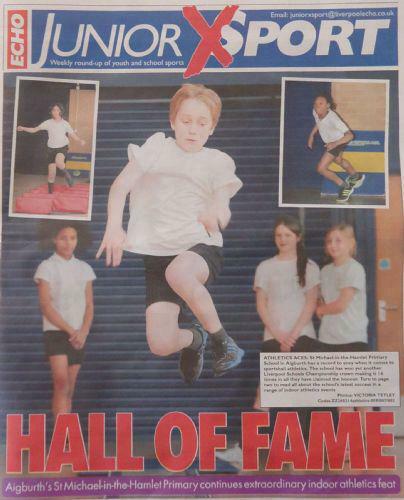 On Wednesday 16th February, a photographer from the Liverpool ECHO newspaper visited the school to take photos of the children in the Indoor Athletics Team to go in an article for the 'Junior X Sport' news pull-out. 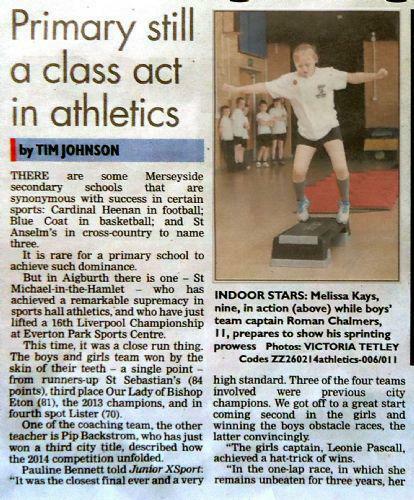 The pull-out was included in the Liverpool ECHO on Tuesday March 4th. 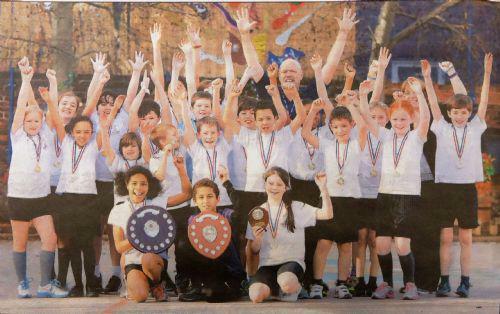 Our indoor athletics team had won the 'Liverpool City Championship' crown for a record breaking 16th time. 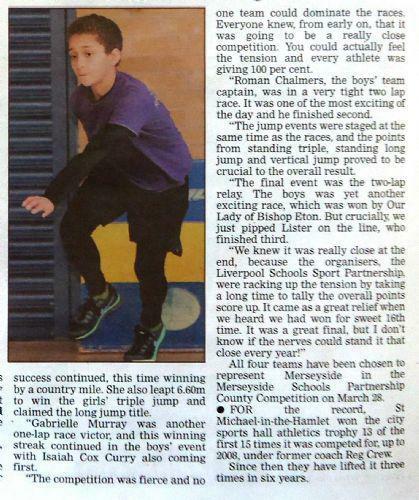 Here are some screen shots of the article in case you missed it!